This DIY rock cacti garden makes a lovely decoration for the home or garden as well as a great gift for family and friends. Take a rock from the pack. Any rock will work, however, a small oval-shaped stone would be best. Cover the rock in a coat of green paint. Leave to dry. 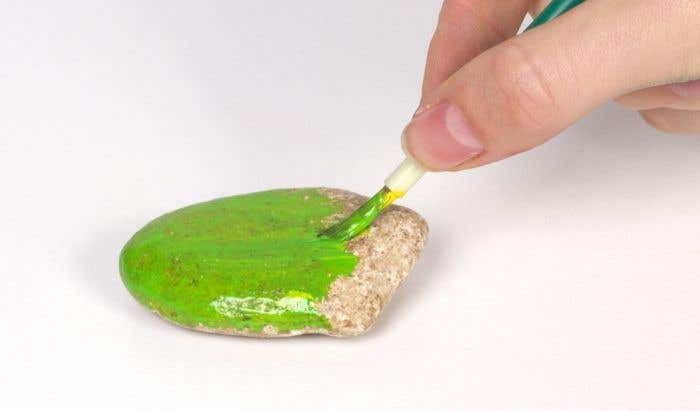 Add another layer of green paint to the rock and leave to dry. Repeat steps 1 and 2 with four more stones. 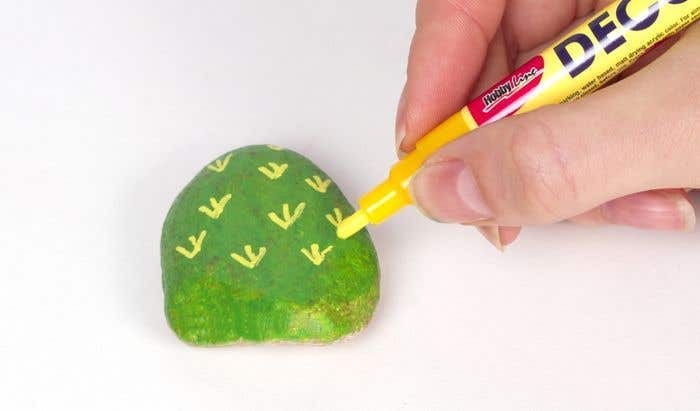 Once the paint has dried, use a yellow deco pen to add the spikes of the cacti onto the rocks. 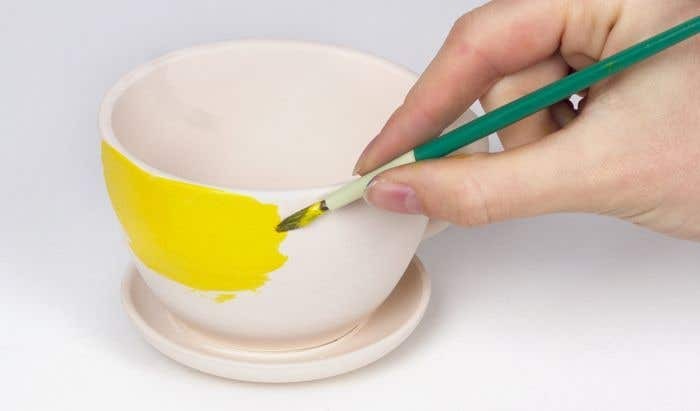 Paint the teacup with yellow paint and the saucer with purple paint, and leave to dry. Decorate the teacup with pink paint. Leave to dry. Cut a circle out of a thick piece of cardboard, slightly smaller than the size of the top of the teacup. Then push the cardboard circle into the teacup so it sits about halfway up. 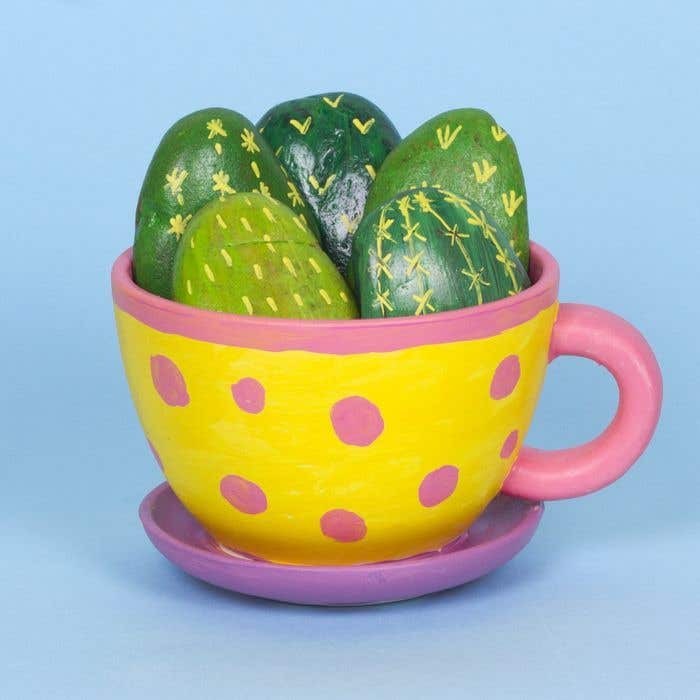 Glue the rock cacti to the cardboard in the teacup. Paint each rock in slightly different shades of green to make them stand out from one another.